Our ‘A Day in the Life’ series highlights alumni in various fields and positions, offering a glimpse of what life after graduation is like. This post comes to us from M&T alum Nihar, currently working at Amazon as part of an externship through Bain & Company. I’m currently at Amazon as a product manager on the Kindle team, but I’m only here for six months as part of an externship I’m doing from Bain. Bain’s externship program is essentially a six-month working engagement at a company of your choice (in my case Amazon, but others do everything from startups to non-profits) – after which you return to Bain. For me it was a low risk way to get experience and insight into another company in a different role. Once my six months are up (in October), I’ll be returning back to Bain to finish up my third year. At Amazon, my typical day goes from 8 am to around 7pm. At Bain, hours vary significantly but are generally a bit longer (On an average day I’ll start working around 8:30 am and go until 8-10 pm). I can’t specifically talk about my current project as it hasn’t been officially announced yet, but I can promise it’s pretty cool 🙂 On a broader level, I’m working on the Kindle team focusing on increasing customer engagement. My job at Amazon gives me the opportunity to interact with a lot of different stakeholders. Depending on the day, who I meet with varies significantly. Today I worked with designers (to help create the user experience), developers (to understand what functionality constraints exist) and other product managers (to understand how features on my project could be useful for other releases). I don’t travel for work here at Amazon, but consulting obviously entails a lot more time on the road. My team’s weekly team meeting! As someone who’s only been around here for a month, it’s a great opportunity to not only meet the rest of the team, but also learn about all the cool projects that everyone is working on. What I’ve found really interesting is the transition from consulting to the tech world. The product manager and associate consultant positions require a similar set of skills – high quality analytics, effective communication, and constant collaboration – but the jobs are so inherently different. Moving from one to the other has been both a challenge and a great learning experience! At Penn I explored everything from consulting to financial services to traditional engineering jobs. Ultimately I chose consulting because I felt it was a great chance to get exposure to a wide range of industries and real world business challenges. I felt like Bain was the best fit for me and have absolutely loved my time there. As part of working at Bain, I was fortunate enough to have the opportunity to pursue an externship and ultimately chose to do so at Amazon. I think the great thing about M&T is that if you come into college unsure of what exactly you want to do, it really helps you figure it out. The program exposes you to a great group of individuals and a wide array of subject areas (for me, it meant taking classes in everything from fluid mechanics to corporate finance). What this allows you to do is quickly figure out what you enjoy and find interesting (and just as importantly what you don’t). The fact that you’re coming out with both business and engineering degrees provides you with a broad variety of options coming out of school. Do what you enjoy. Work where you think you’ll learn. Take time to reflect on life. It’s very easy to get caught up in the day to day grind, but understanding who you are, what you enjoy, and what you’re driving towards will really help you be happy and be successful. (In retrospect this sounds a little cheesy, but I still think it’s true). 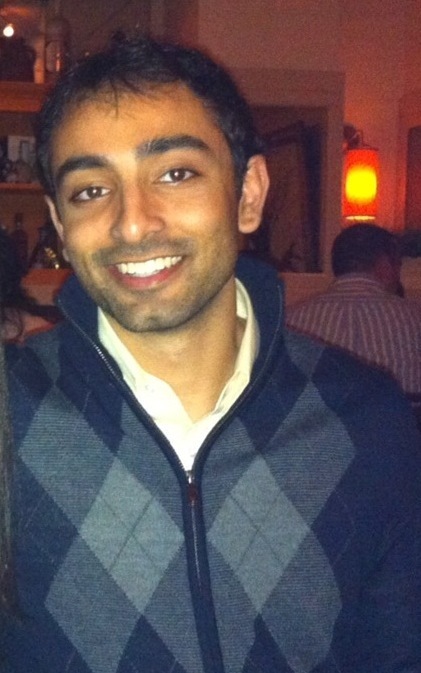 Nihar is a Senior Associate Consultant at Bain & Company. At the time of this writing he is on a six month externship at Amazon and will return to Bain in the fall of 2013. He graduated from Penn and M&T in 2011 with a Bachelor of Science in Mechanical Engineering and Applied Mechanics from Penn Engineering and a Bachelor of Economics from the Wharton School with a concentration in Management. In his spare time, Nihar takes part in competitive soccer leagues and loves reading, snowboarding, and the outdoors.